About 500 pushpins later, this is the result. 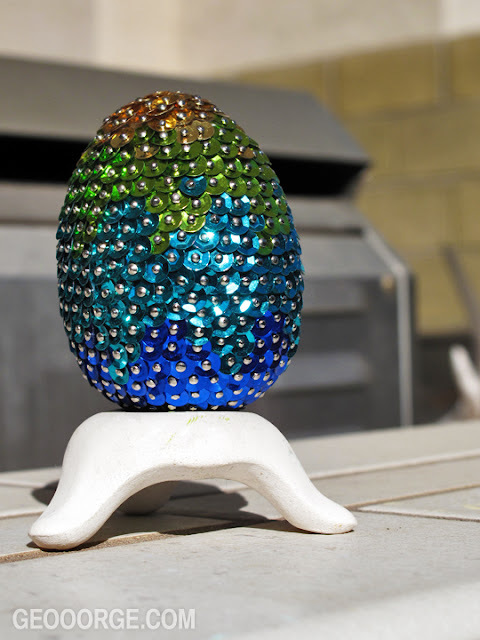 Using small sequins, this egg was definitely harder to work on than the first one with the three sequin pieces and took a couple days to produce. I hope you enjoy!